Coalition for Jewish Values demands Association of Reform Zionists of America disavow comparison between Israelis, Orthodox to segregation. The Coalition for Jewish Values (CJV) demanded that the Association of Reform Zionists of America (ARZA) disavow an insulting comparison of Israeli and Orthodox Jewry to Southern segregationists. According to the New York Times, Shoshana Dweck, a member of the board of trustees of ARZA, told Israeli Cabinet Minister Tzachi HaNegbi concerning arrangements at the Western Wall that "it was never about a seat at a lunch counter, or a seat on the bus," to underscore her assertion that non-Orthodox Jews in Israel are deemed "second-class." 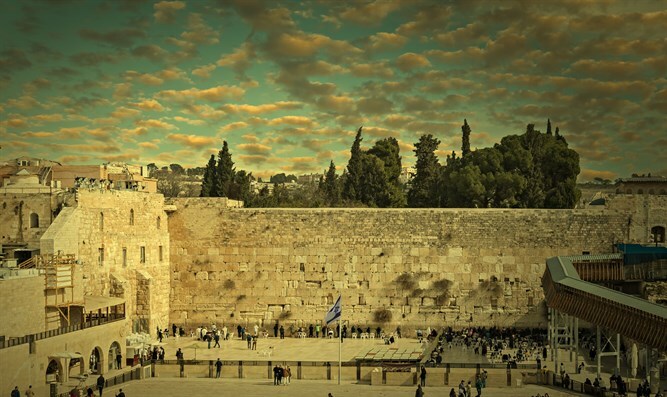 "American Reform and Conservative leaders are requiring changes at the Holy Western Wall for exclusively political reasons, for recognition in Israel at odds with their lack of popular support," said CJV President Rabbi Pesach Lerner. "It is outrageous that they would couch their unreasonable demands in civil rights language, and then use it to demean other Jews." The CJV said that charges of racism against Jews are particularly odious, both because of the large Jewish contribution to the civil rights movement in America, and because charges of racism against Israel are instigated by the very Arab states that expelled their Jewish inhabitants during the past century and whose victims comprise a large percentage of Israel's Jews. In a letter to Rabbi Josh Weinberg, the President of ARZA, Rabbi Lerner and CJV Managing Director Rabbi Yaakov Menken pointed out that Dweck's charge thus "plays directly into the hands of the anti-Semites of today." Rabbi Weinberg did not respond to the CJV letter until the following morning, at which time he stated that he "one hundred percent completely" stands behind Ms. Dweck's comments. Therefore Rabbi Lerner also sent a letter to Malcolm Hoenlein, Executive Vice Chairman of the Conference of Presidents of Major American Jewish Organizations, of which ARZA is a member. Rabbi Lerner reminded Mr. Hoenlein that in 1995, the Conference adopted a Statement on Public Discourse which warns that "those from all sides of the spectrum who engage in verbal violence, demeaning characterizations and other excesses violate basic Jewish tenets as well as standards of decency while endangering the interests of the community." Rabbi Avrohom Gordimer, Chairman of the CJV Rabbinic Circle, added that "there is something uniquely repugnant about accusations of bigotry directed against those who simply favor traditional standards. Jews of all denominations fought segregation, from marching in Selma to sitting at lunch counters. Some even gave their lives. It goes without saying that our members were distressed that an ARZA board member would so callously slander other Jews."